I’ve uttered that so many times to my clients that it’s become a mantra. What the media need: legitimate news. What clients want: to get their name “out there” in the various media outlets. So as storms have swept through the Midwest, including northern Illinois, do you work for, or represent, a company that has some logical tie-in to the meteorological repercussions that have flowed? It’s time to consider what your company does that might help the media tell the stories that will follow in the severe weather’s wake. For Inside Edge PR, anyway, it was time to share a message about the expertise of J.C. 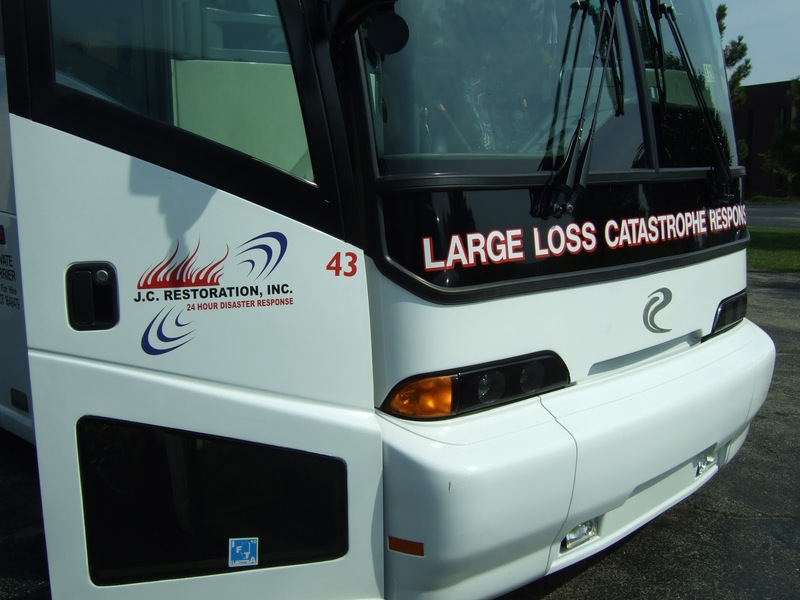 Restoration, a Rolling Meadows-based disaster restoration firm. A vital piece of such a communication is to be clear on precisely how you can help the media tell stories that are relevant and helpful to their audiences. This J.C. Restoration buggie reveals the core of the firm’s expertise. -insight into the industry as a whole: What does a restoration contractor do? What certifications are involved? Where can consumers go to learn more and ensure they are dealing with a reputable business? In short, you want to give at least a partial blueprint of how the media should think about coverage. Certainly, you will be restating some angles that have already been developed. But in some instances, it’s a safe bet that you will be shining a light on an approach they would not have otherwise pursued. In the end, it would all be in a (very stormy) day’s work of giving the media what they need. This entry was posted in Inside Scoop and tagged J.C. Restoration, media pitch tips by Matt Baron. Bookmark the permalink.